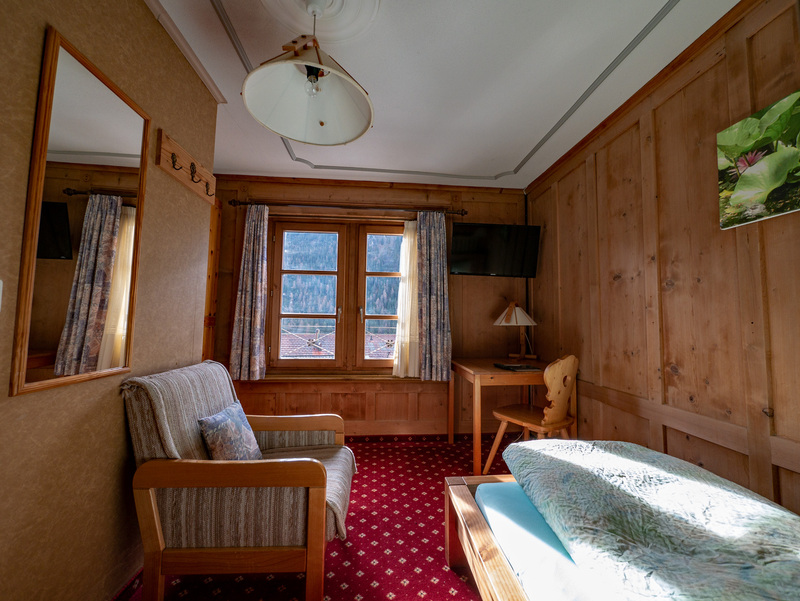 Our hotel accommodates you in 15 rustically and comfortably furnished rooms. Families, couples, solo travelers and business travelers are very welcome here. The 10 rustically furnished double rooms have a double bed, shower/toilet, a desk, a sitting area, a cupboard as well as a TV and free WiFi. 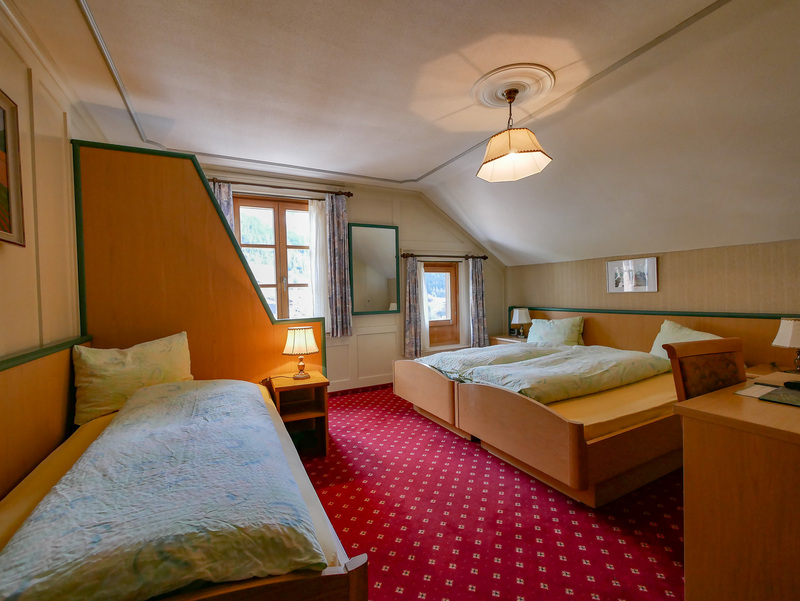 The double rooms are differently designed and furnished. 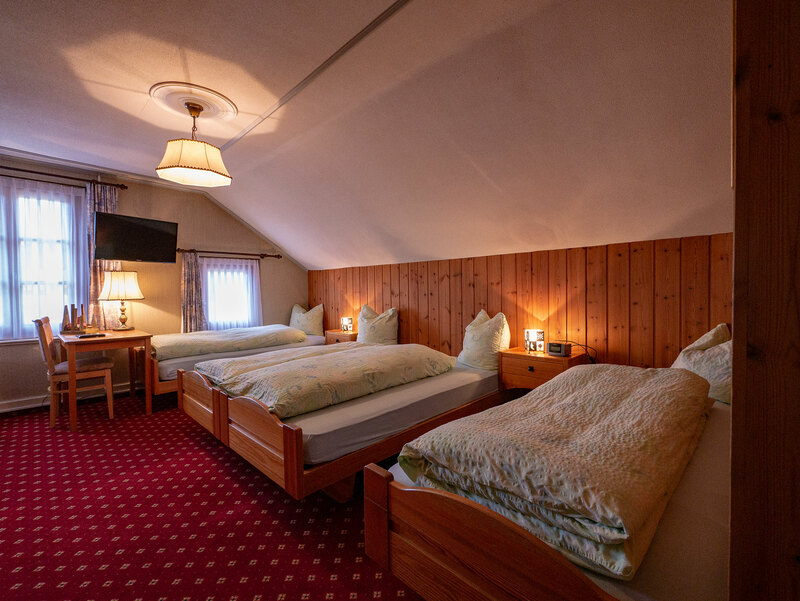 The triple room has a double bed and a separate bed, shower/toilet, a desk, a seat, a cupboard as well as a TV and free WiFi. The family room has a double bed and two separate beds, shower/toilet, a desk, a seat, a cupboard as well as a TV and free WiFi. 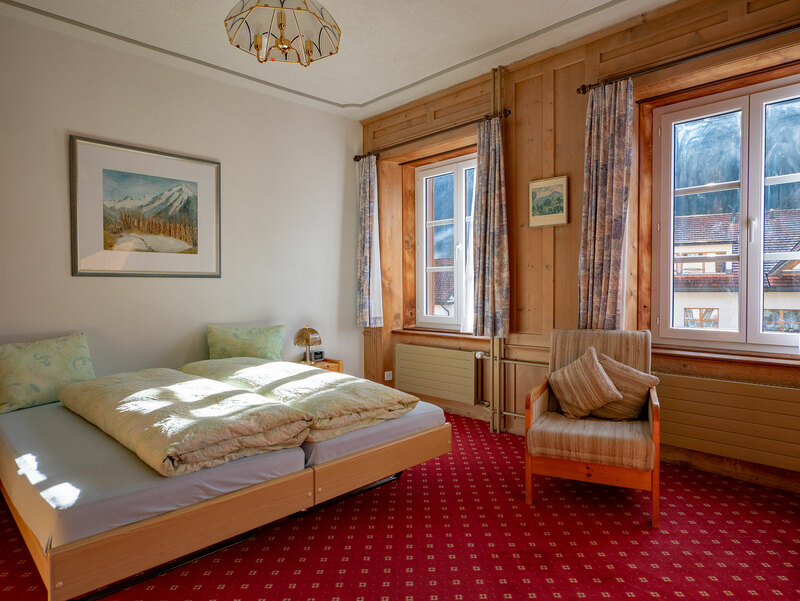 Your place in Switzerland for relaxing, exploring the exiting mountain area, for adventures and excellent food.